This concept adds to the architecture of your home. It gives you a transversal view of your bottles. 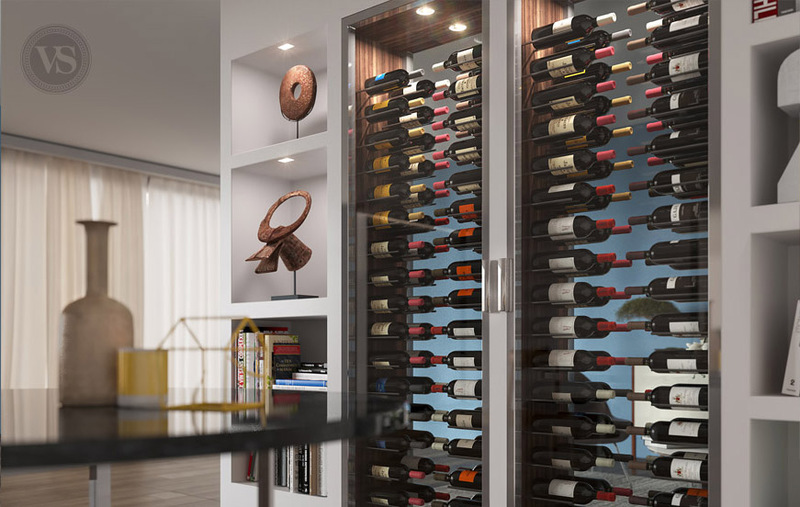 The wine cellar becomes the hyphen that separates two spaces and yet connects them together through its transparency. Thus your gaze extends beyond to your entire living room. Access is possible on both sides by opening French-style doors. 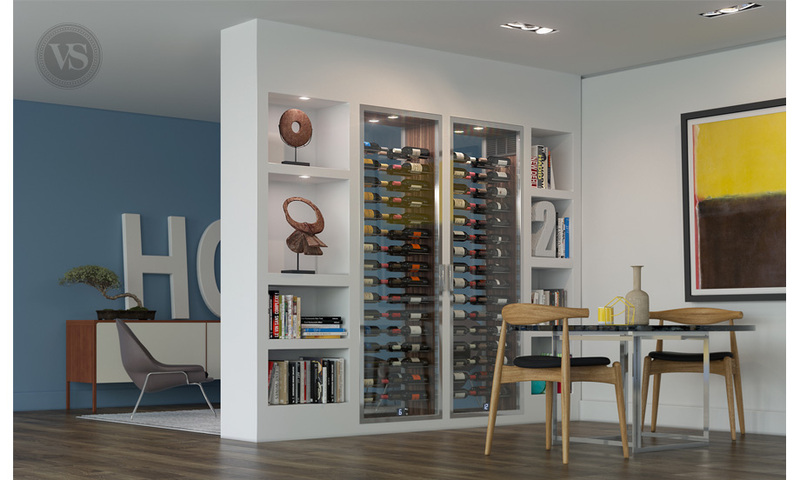 Vin en Scène uses antireflective glass Vision-Lite® which virtually eliminates all disturbing reflection for optimum viewing. 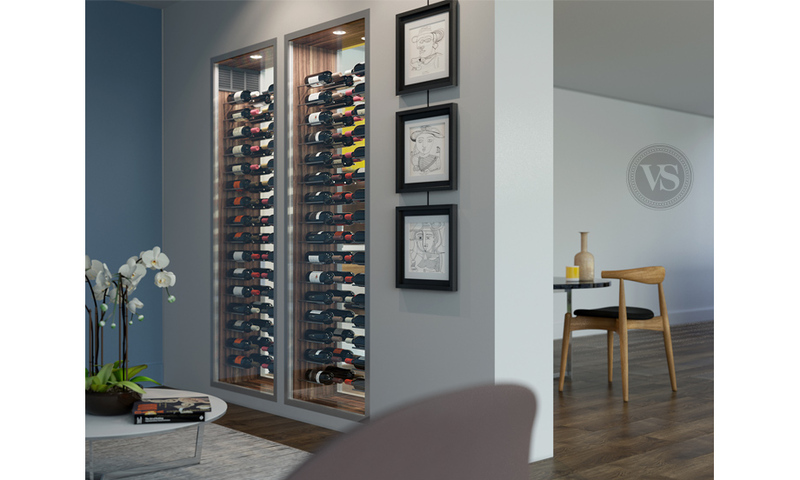 The Versus Glass model makes sense for its practicality and its modularity by offering an innovative and transversal perspective on your wine cellar.